Comments: This is a rambling vine that will grow over anything in its path. Pruning to keep it in bounds is normally necessary to keep growth in check. 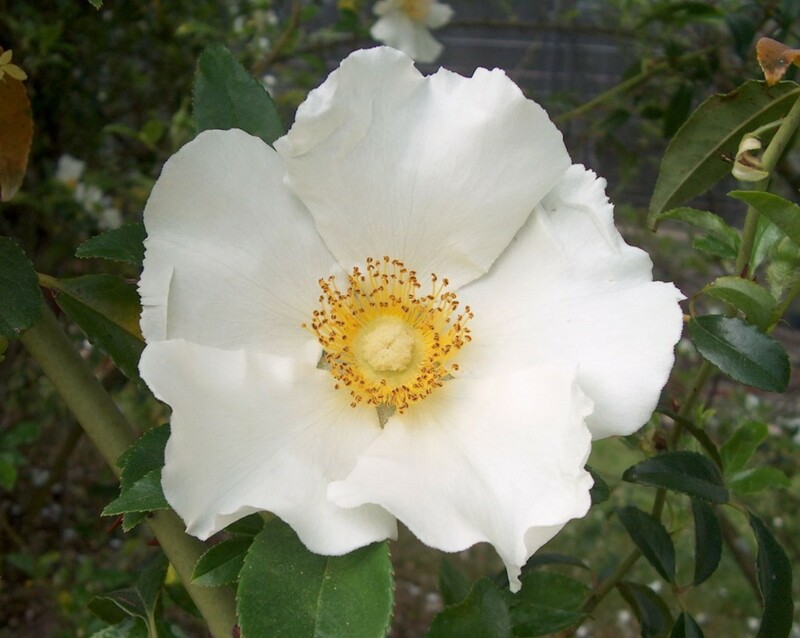 It produces large single white flowers with yellow stamens. While this rose grows under adverse conditions, flowering is best in full sunlight. A few flowers are produced during the summer months. It produces large showy bristle covered hips (fruit).